1. In something not Ithaca but Ithaca-related, it seems like Cornell’s New York City-based Tech school is having quite a good week. 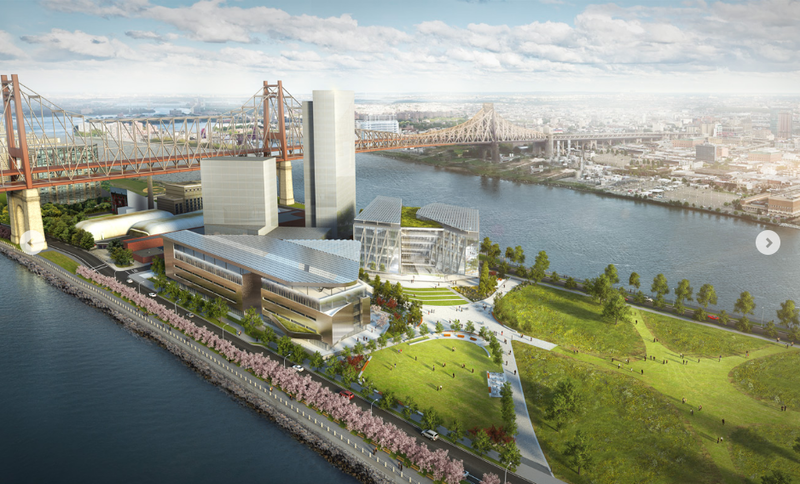 Cornell announced that construction began earlier this month on a $115 million residential building at the Cornell Tech campus. 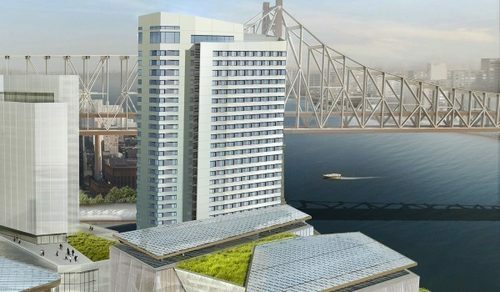 the 26-story, 270′ tower is being built to passive house standards, the largest passive house building in the world. “That means the building is able to maintain a comfortable interior climate without active heating or cooling systems, through the use of, among other things, an airtight envelope and a ventilator system that exchanges indoor and outdoor air. In climates like that of New York, however, standards allow small heating and cooling systems. The 350-unit, 530-bed building will house mostly graduate students, with some research staff and faculty also living in the tower. The apartments, designed by Handel Architects of NYC, are due to be completed sometime in 2017. 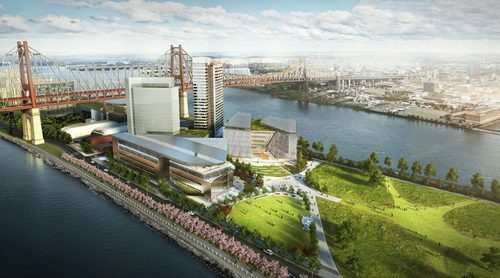 As noted at Curbed, to celebrate the groundbreaking, partner/developer Forest City Ratner released new renders of “The Bridge“, the tech incubator building on the right that looks like and ice cube cleaved into two pieces. As one might imagine, the new renders come with token florid language and eye-rolling descriptions (“an ecosystem of companies”). The Bridge, designed by New-York based Cornell alums Weiss/Manfredi, is being designed to LEED Silver standards, which is still better than about 99.5% of Ithaca. Construction permits were filed in January. Last but not least, the $100 million Bloomberg donation, to name the first building “The Bloomberg Center”. The Bloomberg Center, designed by Thom Mayne of Morphosis Architects, will also open in 2017. To date (i.e. about three years since inception), philanthropy to the tech campus has totaled $685 million – and absolutely none of them care where you think the money would be better spent. 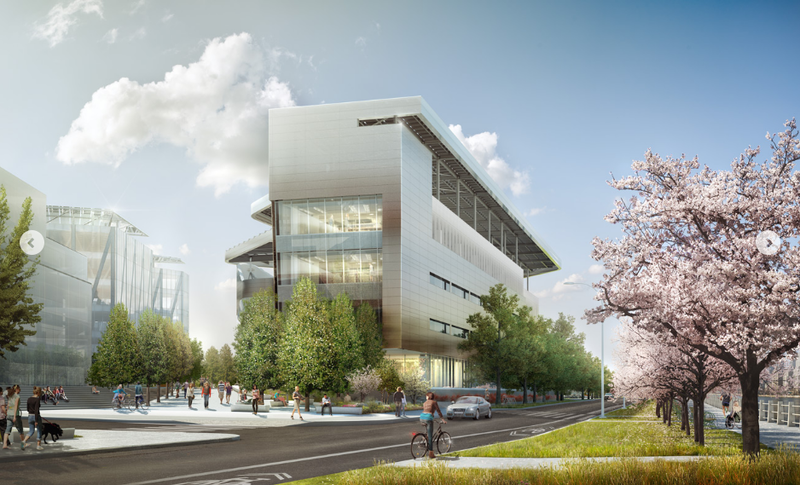 Cornell hopes to raise $ 1 billion ($1,000,000,000) for the school by 2021. For comparison’s sake, all of Cornell, Ithaca campus, Weill and Tech, raised $546.1 million in donations in 2014, and $474.9 million in 2013. 2. Now to go from something big and far away to something small and local. 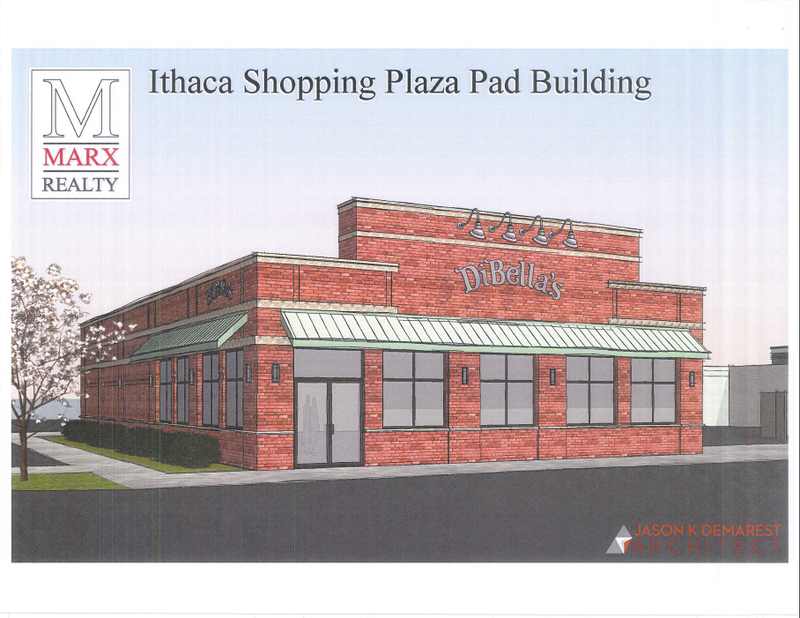 It’s been a while since we’ve heard about DiBella’s, the Rochester-based sub sandwich chain that had been eying Ithaca last November. They’re back, and the proposal has has some pretty substantial tweaks. The building itself is still about the same size (~3,400 sq ft), but the design of the building has been reworked to a brick facade with an asymmetrical door/window configuration. The building is now contiguous with the main shopping strip, no longer isolated from the rest of the stores by a driveway. No decisions are expected to be made at the June Planning Board meeting, it’s more of an update for the board as to what’s going on, and to solicit input. 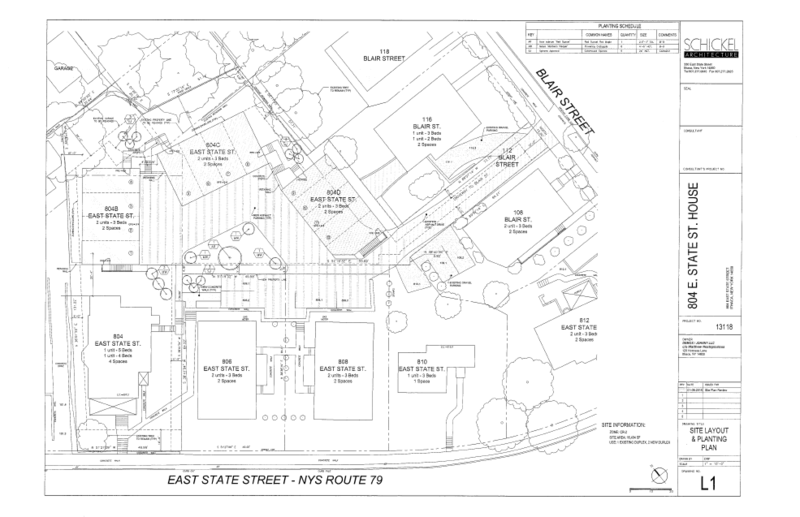 Marx Realty of NYC is developing the pad property, and local architect Jason Demarest (brother of STREAM Collaborative’s Noah Demarest) is handling the design. 3. Shifting out to Dryden now; I don’t tend to write much about Dryden, since a lot of the local development is limited to single-family homes in semi-rural areas (and separately, bad things happen when I write about Dryden). First, Dryden village. The village has seen quite a jump in population in the past couple of years thanks to the opening of the 72-unit Poet’s Landing affordable housing complex (affordable here meaning that it’s income restricted and rents range from the $600s/month for a 1-bedroom to about $900/month for a 3-bedroom). 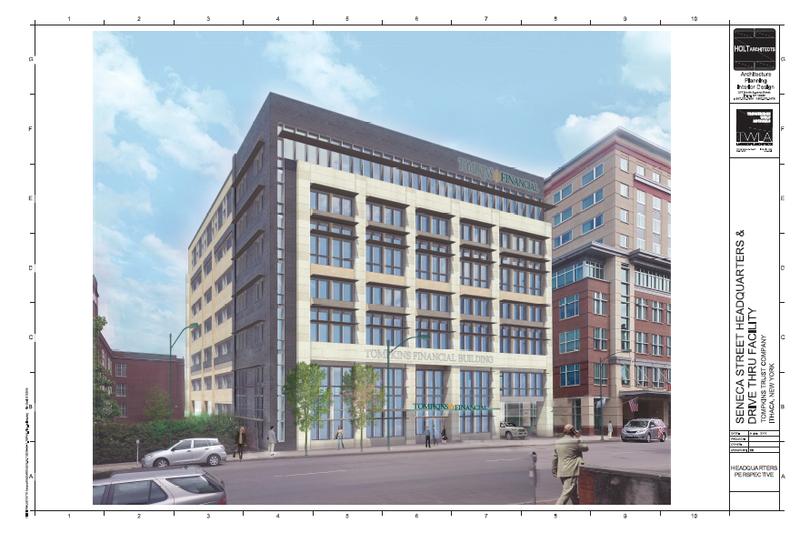 At least as far back as 2010, a second phase, at the time a 72-unit senior apartment building, was planned by Rochester-based developer Conifer LLC. Glancing at the village’s outdated webpage, there were meetings in October about phase II. A little searching online shows the negative SEQR determination (meaning no major adverse impacts expected) was issued in February of this year. The determination announcement says that 48 more apartment units are planned for the land directly west of the current complex. The Poet’s Landing facebook page says that funding wasn’t allocated for the expansion this year, but they are hopeful for 2016. It’s not the best location; affordable housing developments often vie for land outside of developed areas simply because the land is cheaper, but the trade-off is that residents are often isolated, especially if they don’t have money to maintain a car. Here at least the village’s main drag is close enough that residents aren’t totally isolated. And any affordable housing in Tompkins County is welcome. 4. Meanwhile, in Dryden town, there are a couple of projects going on. 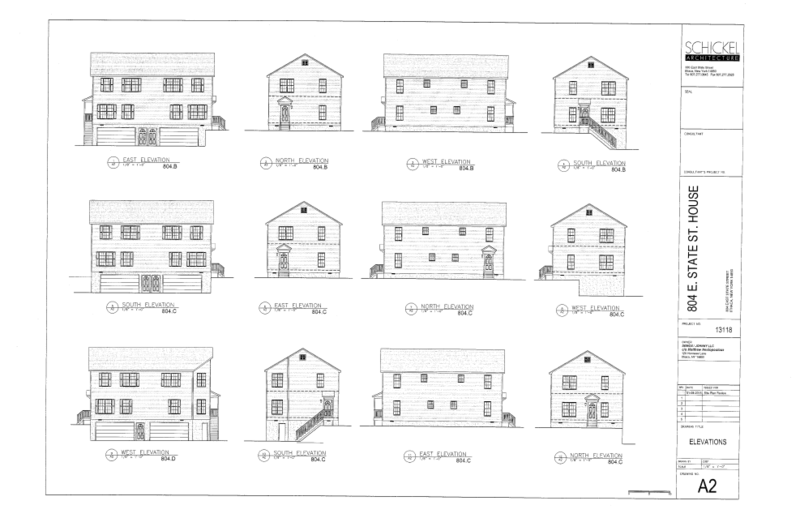 One involves the construction of 8 duplexes (16 units) at a 5 acre parcel on Asbury Road. Working with that piece of information, there was only one parcel that met the provided description – a property just east of the Lansing-Dryden town line that sold for $30k last August to “SDM Rentals”. Scott Morgan is given as the developer in the town documents. 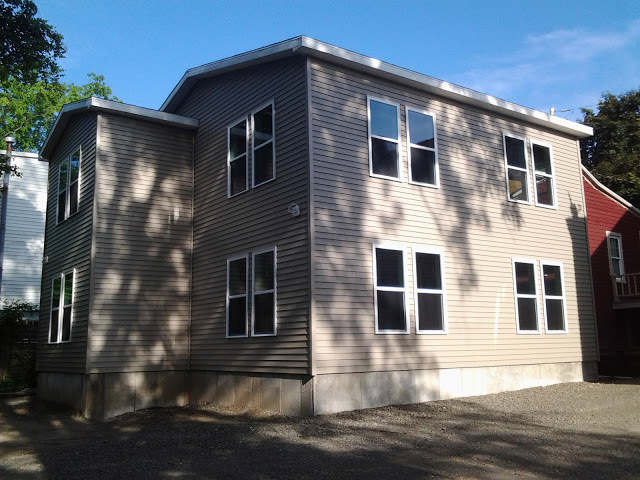 SDM Rentals does have at least one other recently-developed property, the Meadowbrook Apartments, a set of at least 7 duplexes at 393 Peruville Road in Lansing for which he received a $1,000,000 construction loan in 2013 (2 were built in 2010), and rent for $995/month. The ones on Asbury Road will probably look similar. The town notes that although the SEQR is still being prepared, the site was already being prepped with dirt fill, resulting in not one but two stop work orders. Looking online, it appears Morgan has a history of being a problem for local government, including a case in Lansing town where he was using a broken-down school bus for a pig barn. 5. 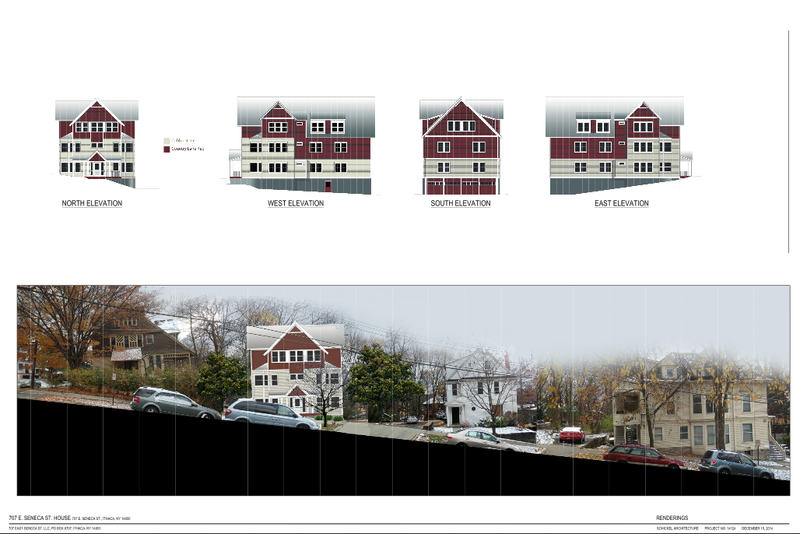 Now for project two, a multi-unit project at 902 Dryden Road. I’m just going to link to the Ithaca Voice article in an effort to save time. 15 units, (2 renovated, 13 new), 42 beds, and a $1.5 million investment. I plan on touching on a couple of other minor Modern Living Rental projects at some point, but we’ll save those for a slower week. 6. This week’s house of the week feature is 318-320 Pleasant Street on South Hill. 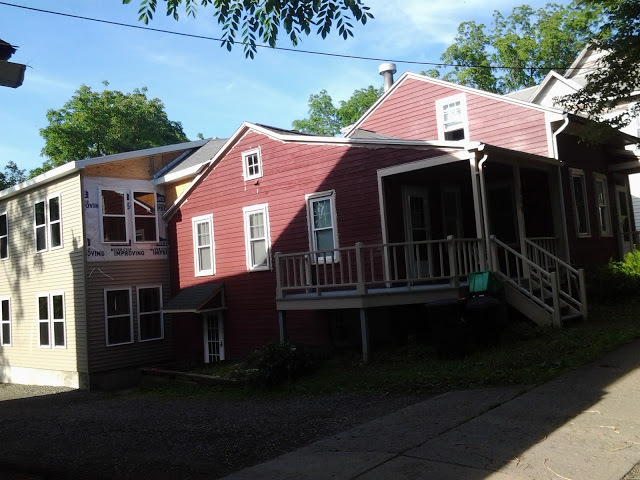 The rear portion (foreground) is an addition, a duplex with 3 bedrooms each. Exterior siding is nearly complete, though some housewrap and plywood is still visible on the south (front) wall of the addition. A peek inside the interior showed that the drywall has been hung-up, but final details like carpeting have yet to be installed (several rolls of neutral-colored carpets lay stacked on the floor). The owners of the 105-year old house are members of the Stavropoulos family, who run the Renting Ithaca rental company and the State Street Diner. On a side note, the 200 Block of Pleasant Street must be one of the worst hills in the city. Walking it must be terrifying on icy days. 7. The Old Library vote made quite a splash in this week’s news. With a 6-6 hung vote, everything’s up in the air. This is what I feared would happen. There’s a couple of options to break this. Two legislators, Kathy Luz Herrera (D- District 2, Ithaca City/Fall Creek and Cornell Heights) and Peter Stein (D-District 11, Ithaca Town/East Ithaca), weren’t in attendance, and could call the measure back up for a vote. Herrera’s District is two blocks from the Old Library site, and Stein’s a retired Cornell professor, so although I shouldn’t be guessing people’s judgement, I don’t think it’s a stretch to imagine which of the two projects they’ll be swayed by. But if either one of them decides they dislike all three options, or if they split their votes, then everything will be stuck in limbo. At that point, it’s anyone’s guess – the building could be mothballed, or given that its HVAC and utility systems are at the end of their mechanical lives, it could even be demolished as a long-term cost-saving measure. If the county does decide in favor of one proposal, it’s still a long road ahead – ILPC approval, Ithaca city planning board approval, and a variety of other measures, which could break the winning proposal. 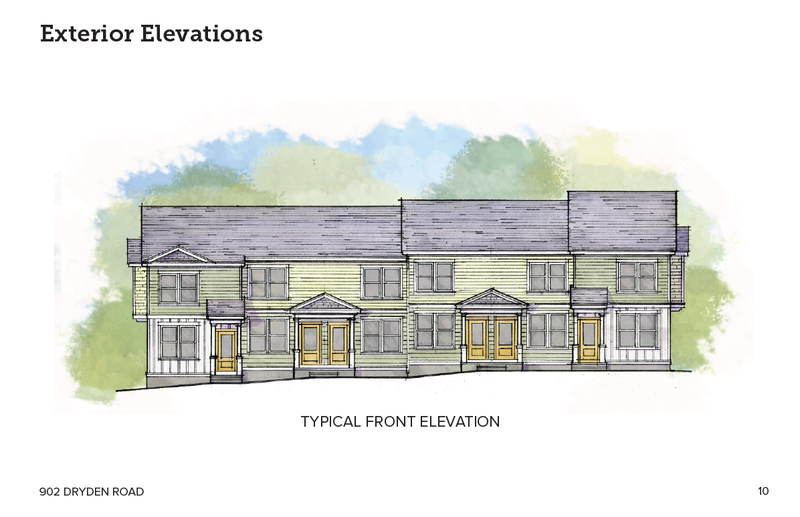 Both projects have potential challenges – with Travis Hyde, ILPC or the Planning Board may try and whittle down its units, removing the density lauded by some legislators, and perhaps the project will no longer be financially feasible. With the condos, one starts with a building that’s had asbestos and air quality issues in the past – one bad surprise in the renovation, and the project could be jeopardized, or at least priced well above the quoted $240-$400k. There are a lot of variables in either equation, and since they can’t all be quantified, both will have their risks. I’m just going to hope that someone is able to bring new life to the site. I don’t want to see two years go to waste. – No subdivisions this month, but there will be a 15-minute public comment period on the city’s new Comprehensive Plan. 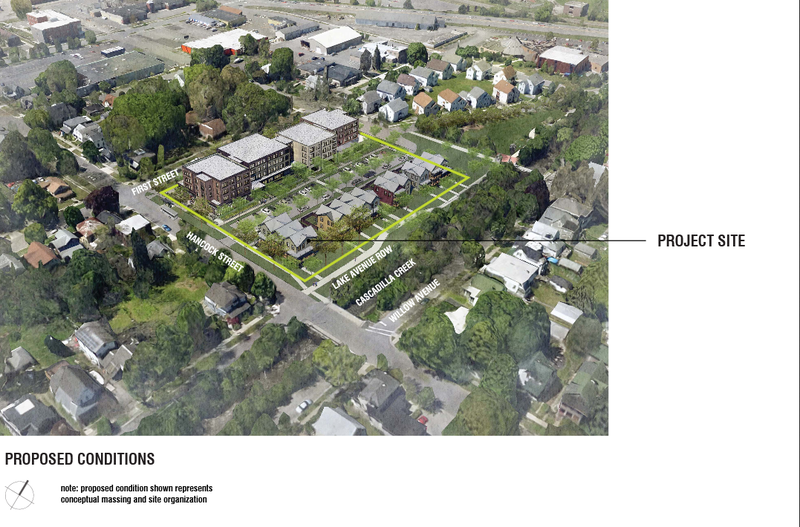 E. “Collegetown Housing Project at Dryden and Linden – Update”. A.k.a. whatever John Novarr’s planning for that five-building stretch of Dryden and Linden he just deconstructed. 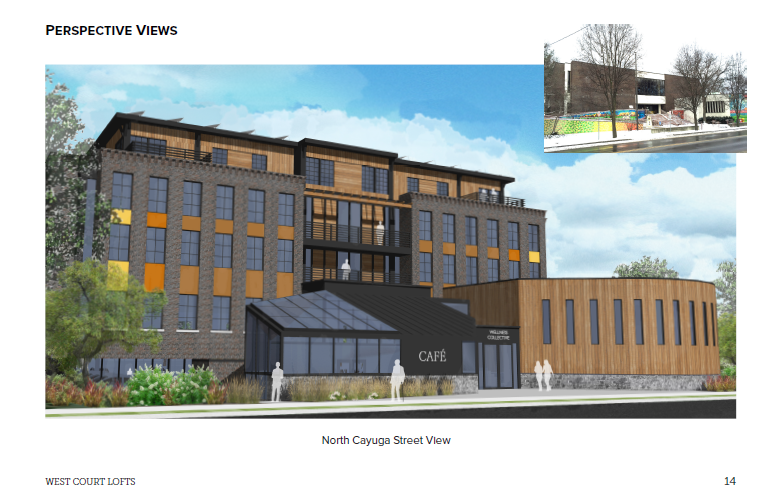 Readers might remember this site was part of his Collegetown Dryden project proposed last July, but there’s no indication if it’s a revision of that, or a totally different approach. 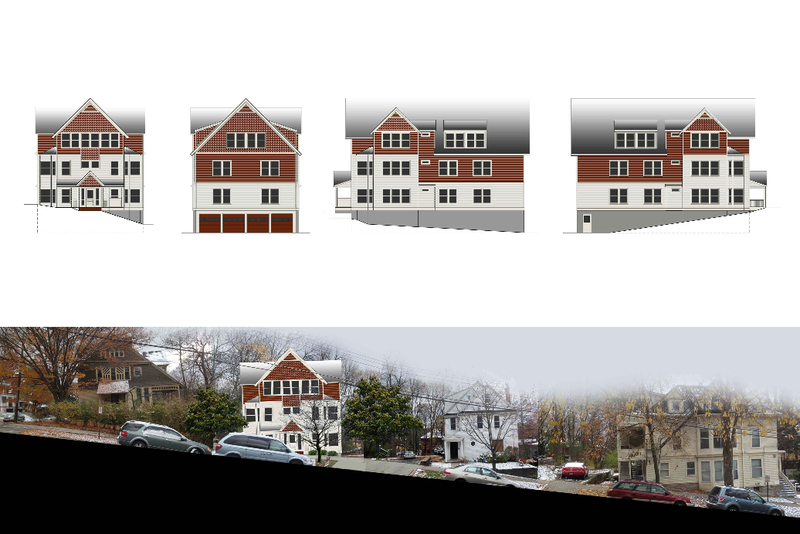 The one thing that is constant is the zoning – MU-2 for the three properties on Dryden and 240 Linden, and CR-4 for 238 Linden. 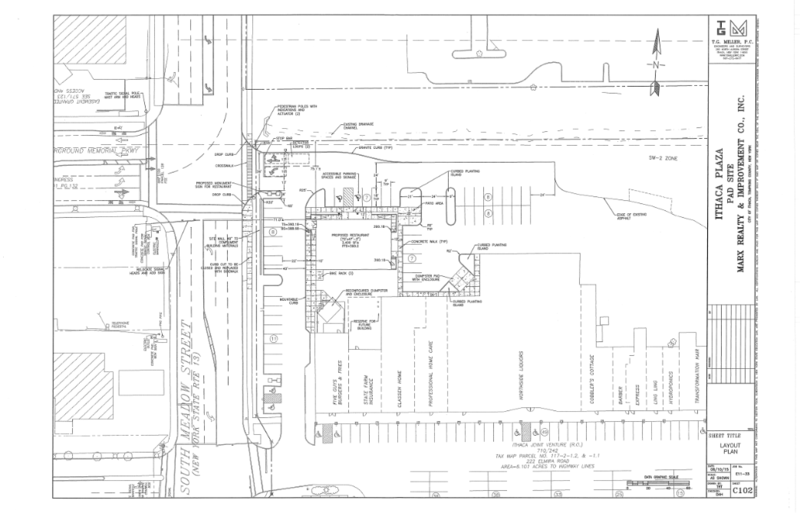 Neither zone requires parking, MU-2 allows six floors and necessitates mixed-use (often interpreted as ground-floor commercial), and CR-4 does not have mixed-use requirements but the height is limited to four floors. 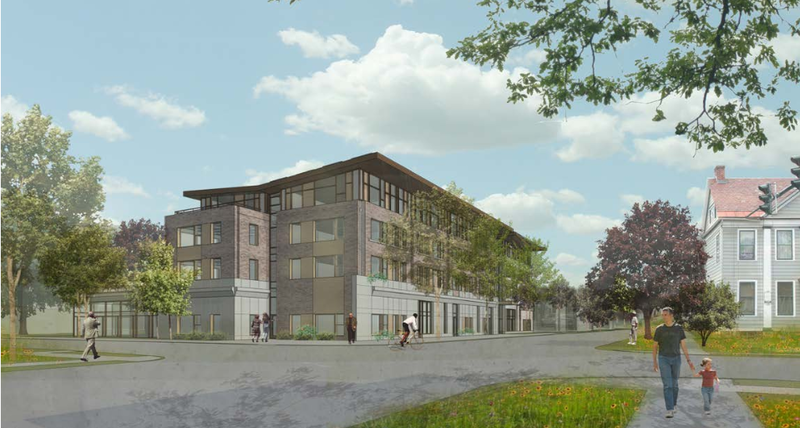 Expect an urban-friendly six-story building fronting Dryden with a four-story setback on Linden. 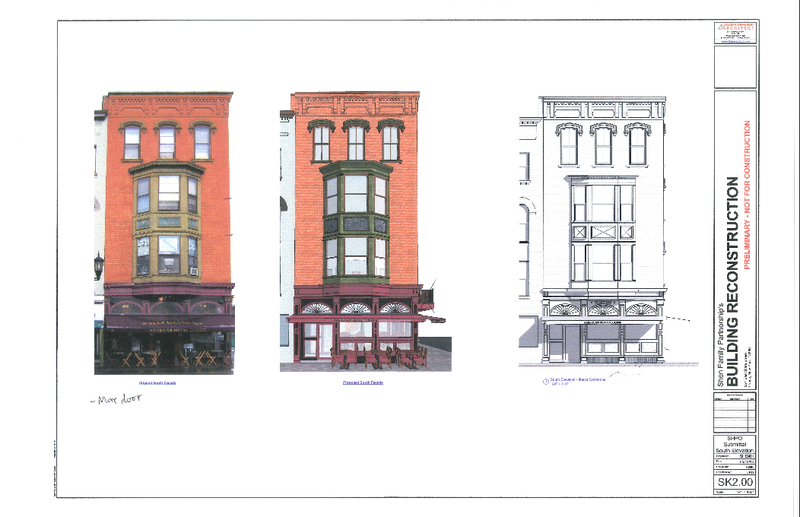 F. “State Street Triangle (Trebloc) Mixed-Use Project – Update” Anything could happen. 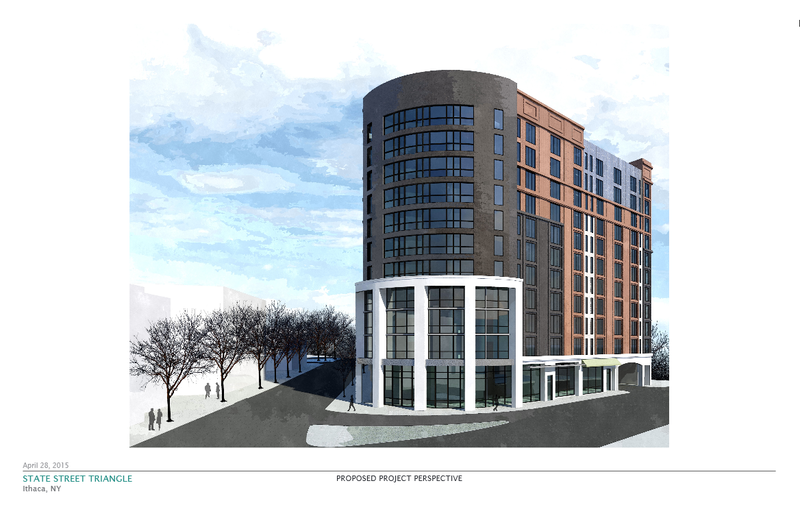 Height decrease, site redesign, fewer units, major design changes…we’ll just have to wait and see how the 11-story, 600-bedroom tower has evolved given the initial recommendations of the Planning Board. 9. We’ll end this week on a happy note. 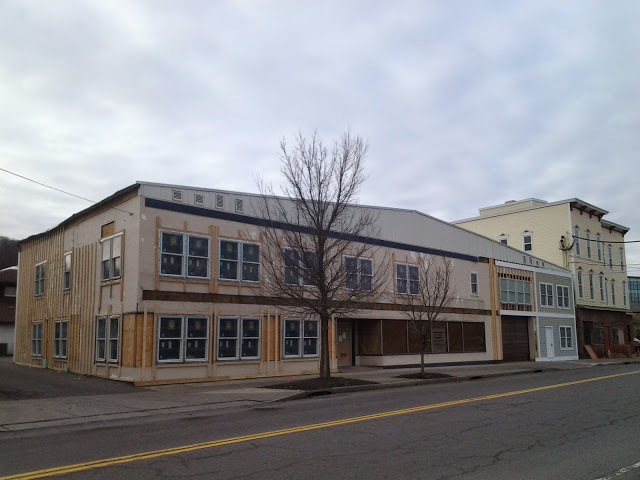 Shen Properties LLC plans on launching their Simeon’s rebuild shortly; first and second floor restaurant space for Simeon’s, and five luxury apartments. The exterior will be a near-replica of the original facade of the Griffin Building, but the interior will be renovated to hold an elevator and a sprinkler system. In a quote to the Journal, property manager Jerry Dietz says to look for a reopening in the very late 2015 or early 2016 timeframe.